This is my first BLOG entry for 2017. 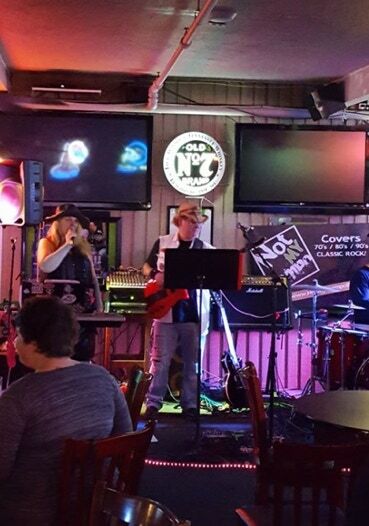 So far this year the band has played one gig (at our local venue Rock The Dock) and we have another gig tomorrow night (Saturday Jan 28 at the Northwest Brewing Company). Our Rock The Dock gig was special in a number of ways. Firstly Chris - our singer was playing drums and secondly his friend Nick came and joined us on Rhythm guitar. So we have a new look Not My Tempo shaping up, and it will be fun to see how it matures as the year progresses. On a personal note - I have also purchased an acoustic guitar and are in the process of learning that. Chords so far: Dmaj, A maj, Amin, Emaj, Emin, Cmaj, Dmaj, Gmaj………And YES, now Im remembering what it is like to be learning a new instrument…..actually it’s a lot of fun. My purpose for learning is really to help with song writing, and just to widen my music experience. Next month starts off with a bang….Another Rock The Dock gig celebrating Lori-Ann’s birthday as well as the birthday of a number of our fans….I can’t wait. Watch this space….more to come…..